January 2-We spotted a muskrat (at least we think it was) diving for food in the Bay this morning. As far we could tell, he or she had the whole lake to himself or herself. Beautiful sight._ Rick & Bobbitt Bellingham. 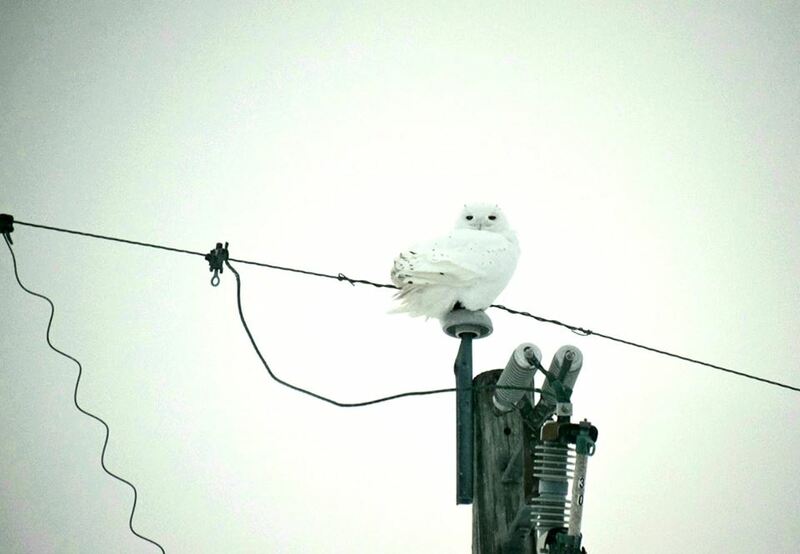 January 20-A snowy owl was spotted just south of Maple Bay along US-31. Snowy owls breed in the arctic tundra and move south into places like Michigan in the winter. Look for them in open areas perching atop telephone poles or fence posts. _James Dake.